In 2015, documentarian Rodney Ascher made a film about a phenomena people had trouble defining and explaining, but were easily horrified by on a deep level: sleep paralysis. Without understanding, sleep paralysis can shake someone to their core. The feeling that comes with finally finding empathy for such a personal, psychological mystery is an exciting one. It’s like discovering kinship from across another realm, within a world visited only for a short amount of time. Coming across populace from inside can make the mind, and potentially the soul, feel strikingly less alone, and perhaps more understood in this cruel world. This is how many people feel about AMPED 3. But, you know, in a good way. 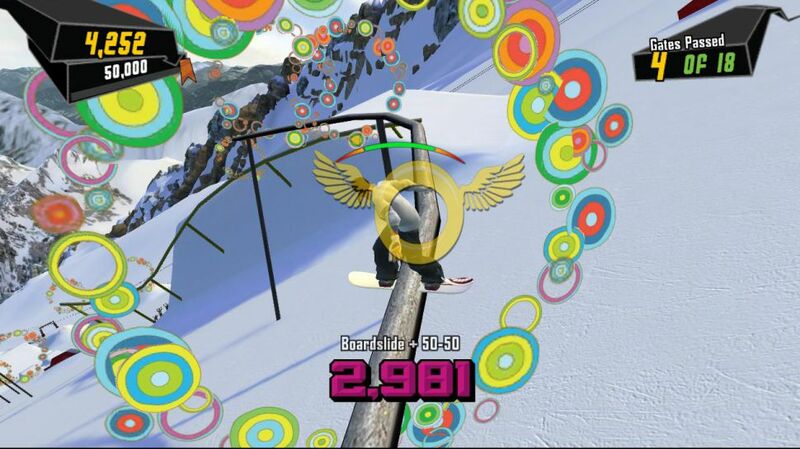 AMPED 3 is a sub-cult snowboarding Xbox 360 launch title, released just prior to popular extreme sports games’ final hour. Instead of trying to avert the nose diving of its genre, the final AMPED entry rode itself straight down, like Major Kong atop the bomb in DR. STRANGELOVE: the resulting explosion is unprecedented, and somewhat unbelievable. It’s a perfectly fine snowboarding game, with some great non-sequitur elements that made it rife for exploring longer than most others of its kind. It is most certainly fun, but the fun barely came from the snowboarding. AMPED 3 is of the rare, successful breed that has the honor of being labeled a straight-up comedy, and perhaps one of the brightest, most hilarious ones ever produced. Built upon trusty arcade-like gameplay, and sporting an adventurous, otherworldly, utterly stupid story, this happy-go-lucky game recalls like a fever dream, but one worth experiencing again. As a launch game, AMPED 3 was quite the package. The snowboarding itself was goofy and larger-than-life. It controls like a TONY HAWK PRO SKATER game, which was familiar and comfortable at the time, and perhaps longed for in hindsight now. Included was a slow-motion tricking component, also a dated system, but one that fit elegantly into an already stylish body. Structurally, the game played similar to SSX 3, with open world mountains filled with missions, both story and otherwise, that one could snowboard, snowmobile, sled, and hang glide through. Otherwise, AMPED 3 consists of different kinds of challenges, creating objects in the world to trick off of, beating high scores, racing through slaloms, collecting items, and destroying one’s body as badly as possible, which is the game’s only multiplayer mode. Thankfully, it’s a fun one. 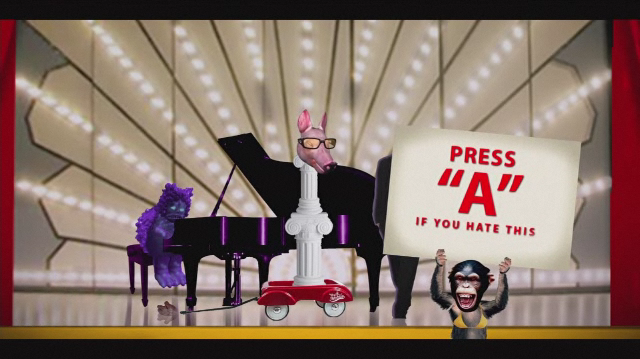 The real adventure of AMPED 3 is in its campaign. Normally, the best practice is to not trust someone who speaks highly of an extreme sports game’s story mode. The tongue-in-cheek humor of SKATE and TONY HAWK’S PRO SKATER games kept players awake, but they were hardly a selling point. AMPED 3 shifts all its engines toward its main story, and more significantly, the style through which it’s told. What starts as a simple, friendly adventure about a group of snowboarding buds trying to save money for a trip to Chile eventually goes off the rails, then crashes into a rail factory and blows that up too. The subsequent tale covers ground like sasquatch, boy bands, conspiracies, robots, angels, evil villains, evil corporations, and evil zeppelins. It’s utter lunacy that rivals the likes of something like BAYONETTA or even METAL GEAR SOLID, both in craziness and levels of enthrallment. From its “press start” screen, AMPED 3’s aesthetic stands out like a sore thumb covered in glitter. The game is splattered with bright colors right out of a JET SET RADIO sequel, filled to the brim with sticker, doodle, and graffiti designs to boot. Menus whip and zoom around with Edgar Wright-ish precision, and almost nary a frame is left, whether it be in loading, cinematics, or gameplay, without a joke. When a game can make someone even vaguely interested in its loading screen, it’s easy to say it has something special going on, especially considering that AMPED 3 was a launch game, a categorization notorious for bland picks that wouldn’t normally sell otherwise. Players who took the risk in picking up AMPED 3 were rewarded with a thoroughly enjoyable piece of lunacy. But perhaps AMPED 3’s strongest legacy is its cutscenes, which are as delightfully varied as the most deranged episodes of Nickelodeon’s KABLAM!. The game’s narrative moments constantly shift between FMV, anime, sock puppets, hand puppets, dolls, paper cut-outs, PlayStation 1 graphics, NES graphics, old stock footage, and silver-age comic book art, among other outlandish, inspired looks. It doesn’t only look crazy, but it’s written from the mindset of “left field,” functioning like an alternate universe TIM AND ERIC adventure. Today, it would fit right at home under the Adult Swim Games brand, brandishing the irreverence of AQUA TEEN HUNGER FORCE and manic pacing of SUPERJAIL! There’s certainly a juvenile sensibility to the humor, but it’s so blunt and unflinching in its execution that it’s hard not to admire. There’s an auteur-level of comedic consistency here, controlling an outlandish and ever-shifting style. 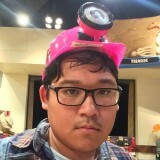 As the story gets crazier, so does the look. Both of which work as carrots on sticks, leading gamers deeper and deeper into its whack-crack blender of a heart. It’s easy to speak so highly of AMPED 3, mainly because it continues to fly under the radar. Like a Batman who never became a cult of personality, those who got to experience the game on their own, whether on a whim or via a random recommendation, were treated well by AMPED 3, without it begging for anything in return. Its champions are fervent believers, and are totally stoked whenever they get a chance to share tales of a long-gone ride such as this. It ages well in the mind, and is stronger in its subtle influence on the industry. The ghost of the game is alive and well, even if its franchise and genre are dead and buried. Indie titles like JAZZPUNK, SODA DRINKER PRO, ROUNDABOUT, 100FT ROBOT GOLF, and even UNDERTALE take on its lo-fi, WTF-spirited multi-media mania. Meanwhile, the SAINTS ROW games grabbed AMPED’s torch and ran with asinine gameplay conventions driving an even more depraved fantasy narrative full of colorful characters. AMPED 3’s gameplay was more than a speed bump to get to the next piece of ridiculous comedy in its frame, but it’s exactly that foundation that makes it such a special thing. It celebrates the potential for that zany, independent spirit in game design. The game itself was packaged and shipped as a mainstream title, but how it holds itself up left so many people confused and in awe, opening the floodgates for even weirder releases to occur. A full decade before the new wave of independent game design, AMPED 3 made a garish explosion, and a blip on the radar that would be felt ever more in the years to come. It may have been indirect, but the slapdash record it left is something gamers ended up wanting more of, and eventually made more of on their own. 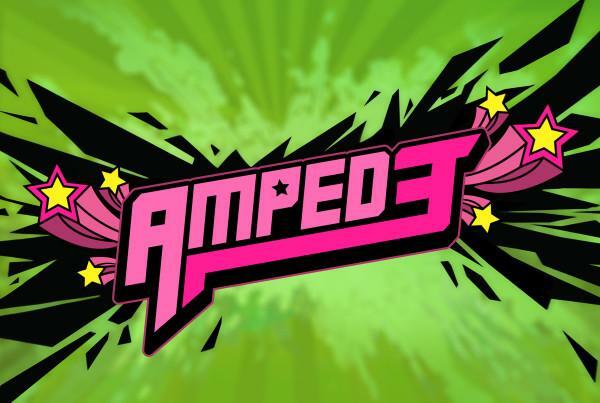 AMPED 3 might not get the respect it deserves, but its fans take that as a sort of comfort. It’ll always be the insane little game that left a smile on their face years ago, and left them expecting more from their art.